How to Select the Right Jury! A recent article in the journal Science demonstrated that people often make decisions without being consciously aware of their choices. Our research has shown a similar phenomenon among jurors. Some jurors make up their minds before the trial begins, without conscious awareness of their decisions. Identifying such jurors during voir dire is imperative because the case may be over for them before it begins, although they may never acknowledge it. 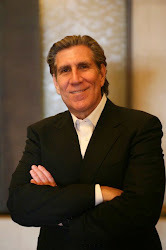 Trial lawyers must understand that jurors are persuaded by evidence that confirms their inherent beliefs. Psychologists refer to this tendency as the “confirmation bias.” If those attitudes and beliefs run counter to your case, you are unlikely to win, despite the strength of the evidence and the justness of the case. Discovering juror beliefs is critical in constructing the trial story and will be discussed in more detail in a future article. Suffice it to say, understating the beliefs and attitudes that will prevent a juror from finding for your client is critical. Trial lawyers often suffer from naïve realism, believing any reasonable juror will share the lawyer’s own perception of the evidence. But make no mistake about it – jurors process evidence as partisans. Once seated, they will search for evidence that confirms what they already believe. Thus, the lawyer’s goal in jury selection must be to identify potential jurors who have made up their minds and are biased either for or against his or her case. 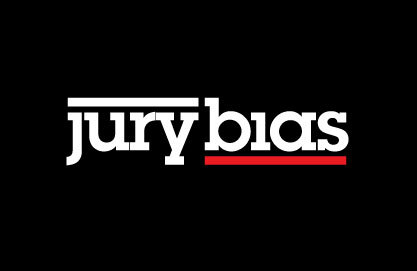 The first task of jury selection is to give jurors permission to admit bias without feeling they are revealing something negative about themselves. Research has shown that people are more likely to disclose information about themselves to someone who has already disclosed something to them. We advocate disclosing something about yourself that is not too personal, but demonstrates a life experience that might prevent you from being impartial in a certain type of case. In doing so, the trial lawyer communicates that an experience may cause bias in one type of case, but not in most other cases. This helps potential jurors save face. For instance, one of the authors’ fathers is a dentist. In jury selection, he might tell the venire, “My father is a dentist, and I think I would have difficulty sitting as a juror on a dental malpractice case because I might be thinking about my father. That does not make me a bad person or a bad juror; it just means I would probably be a better juror for a different type of case.” This approach also serves to educate jurors about how to get excused for cause. Once the juror receives permission to disclose, the next step is to create an open, frank discussion. Unfortunately, judges are trending toward limiting the amount of time devoted to attorney-conducted voir dire. The opportunity to have a lengthy, open-ended discussion with the venire is now the exception, not the rule. Thus, making the most efficient use of the allowed time is essential. The trial lawyer can save time, and help identify important areas for follow-up and cause challenges, by asking the court to allow the use of supplemental juror questionnaires. These questionnaires are particularly helpful in gleaning information potential jurors might be uncomfortable or embarrassed disclosing in a group setting, such as certain medical problems. For instance, in a case involving psychiatric medication, it would be important to know which members of the venire are taking psychiatric medications or have had previous experience with them. It is highly likely jurors would be reluctant to disclose such information to a group of strangers. During jury selection, always have someone assist you whose sole responsibility is taking notes and observing non-verbal behavior. Our research has shown that members of the venire who disclose one message verbally and another non-verbally are what we have labeled “stuff happens” jurors. These jurors have an increased tendency to find against the plaintiff on causation grounds, rationalizing that “stuff happens” and no one is responsible. Such individuals would fall into the category of having decided the case without conscious awareness. If asked directly, these persons would state emphatically that they could be fair and impartial, keeping an open mind about the evidence presented. Nevertheless, we find the case is over before the trial begins for these people. Having someone keep a keen eye on non-verbal behavior will help identify such potential jurors. Another helpful tool in identifying these types of jurors is to ask them about the burden of proof they would require before deciding in favor of the plaintiff. Our research shows that many jurors require a greater level of proof to award a large sum of money, i.e., finding against a doctor, or awarding damages in a wrongful death case to a parent of a minor child or an adult child of a parent. Once you have identified a potential juror with a bias or pre-judgment, you must commit him or her to avoid rehabilitation by the other side. This involves confirming that the juror would have to be absolutely certain about the evidence in order to find a doctor negligent, feels strongly about this viewpoint, has held it for a long time, and would be unlikely to change his or her mind. Using closed-ended questions is an important technique in getting a potential juror to commit to this attitude. Be gentle in your questioning, so as not to lose rapport. First, jurors who have personally relevant life experiences are dangerous because they tend to serve as experts during deliberations. Typically, this is bad for the plaintiff. Such jurors substitute their own experiences for the evidence. Thus, an engineer on a product liability jury and an accountant juror in a case where financial evidence is in dispute are both dangerous jurors. More subtlety, in an emergency room malpractice case, a parent with a chronically sick child who has visited the emergency room repeatedly will be perceived by other jurors as an expert on how emergency rooms work. Second, identifying the individuals who will emerge as leaders on the jury is critical. If you are choosing between two bad potential jurors, consider striking the juror who likely will be a leader. People of high status, highly educated individuals, supervisors, those with personal relevant experience, former jurors and leaders outside the courtroom will all be potential leaders in the jury room. Such individuals will likely shift the jury’s decision in their direction, so beware of the leaders you leave on a jury!